This chapter examines how Eastern European migrants have been represented in recent films, TV programs and newspaper articles, including The Poles are Coming, THE Great British Romanian Invasion, Britain’s Hardest Workers: Inside the Low-Wage Economy, It’s a Free World, Once, Eastern Promises, Gypo, Lilya 4-Ever, and Somers Town. 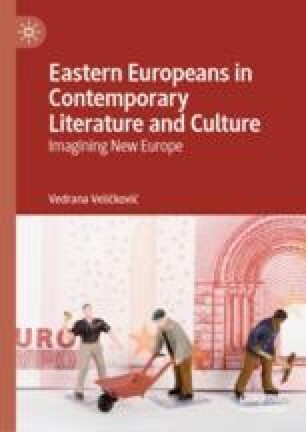 It traces the recurring figure of the economic migrant and shows how Eastern European mobility is predominantly gendered and recognized as male. It examines what may be problematic in the recurring narratives about “good” and “willing” Eastern European workers and then focuses on the disavowed and complicated mobility of Eastern European women in recent films.